In These Finals, Who Has the Hunger? The Spurs waited 6 years for their next finals appearance and last Thursday they took Game 1 from the Heat, the defending champs. But it’s way too early for Spurs fans to get excited, let alone call the series. Both teams have everything at stake—but which team wants it more? Definitely the team that can outlast the other in determination and sheer willpower will get the job done. The first to get emotional will lose. Both teams have faced a variety of situations in the playoffs, you name it: down by two in a series, playing a winner-take-all Game 7, or losing one and coming back winning four straight, they know how it is. Lack of experience is not an excuse for either team. The Spurs are old, but 37-year-old Tim Duncan is looking like he’s back in his prime. 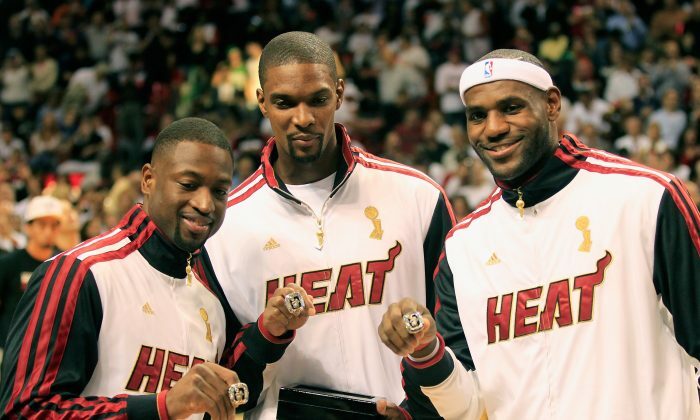 This may be the last time the big three of the West will get a run for a championship together. The Spurs look like they have more to lose. It’s either this year or no year for the Big 3, who came together in 2004. They have stuck around since the beginning of their careers through high tide and low tide. With the likes of Kawhi Leonard and Danny Green, the young players on the team are shouldering more and more responsibility. The Heat has already proven that they are of championship caliber. With the one ring they have together, their own “Big 3” are definitely not thinking about the same things as their veteran counterparts. Even though the Heat are still young in its latest formation, they have experienced the challenges of a veteran team. Miami has not lost back-to-back games since this January and will try to keep it that way as they attempt to keep the Spurs away from a two-game lead tonight.